IDS Next Business Solutions Private Limited - Service Provider of fortunenext 6i enterprise, fortunenext 6i professional & fortunenext 6i genie in Bengaluru, Karnataka. Maintaining huge financial information in a hotel business involves multiple data entry process. This can lead your vital financial data being stored in silos and can even result in errors. 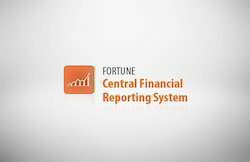 Our Fortune Central Financial Reporting System (CFRS) can streamline this complex process of financial accounting for hotels. Fortune CFRS integrates with your Hotel ERP and automates the entry of data into respective ledgers. It effectively collates financial information and allows the user to create multiple customized reports that provide insights into property’s finances. Fortune CFRS utilizes the pull-methodology for data transfers and pulls property level financial data from the PMS database through a proprietary data transfer engine. For hotel chains that have multiple properties, CFRS provides property wise maps of accounts, transaction types, departments, cost centers, etc. The application also maintains synchronized unit level financial parameters, masters & transaction level data from each property and enables generation of real-time unit-wise or consolidated reports at central level. Fortune CFRS can also be deployed using a secure VPN. 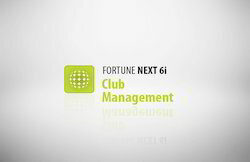 FortuneNEXT 6i Club Management Software helps clubs track membership, revenue targets, promotion programs, accounts, inventory, facility management and member loyalty. This club membership management software automates a host of mundane tasks and helps users increase revenue.FortuneNEXT 6i Club Management is packed with features to help clubs deliver premium service to their members/patrons. 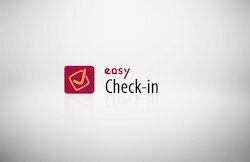 Easy Check-InEasy Check-In is the ideal guest check-in app that helps hotels offer faster check-in facilities to their guests. This smart app assists hotels walk their guests directly to their rooms by completely avoiding the time consuming front desk formalities. This smart mobile check-in app works on both tablet and a smart phone. It is intuitive and easy to use. Easy Check-In lets your hotel staff fill out your guests’ registration details even as they walk them to their rooms. Also, this guest check-in app helps you identify return guests by their pictures and enables you to provide them personalized services. Easy Check-In integrates seamlessly with the Front office of FortuneNEXT 6i Enterprise, FortuneNEXT 6i Professional, FortuneNEXT 6i Express and FortuneNEXT 6i Genie. Wireless Order Taking: Steward can take orders and send them directly to the kitchen without moving away from the guest. This process is error free and saves time. Offline Sync: Steward can take orders from the guest even while the mobile or tablet device is outside the Wi-Fi zone. For example if a guest is at the pool side which is out of internet coverage area, the steward can still take the order and confirm it when he is back in the Wi-Fi zone. Open Table / Floating Guests: Steward can tag guests as tables. For example, if a guest is at the pool side or on the dance floor, the steward can tag him or her as a table, take and track orders. Multi-level Menu: Management can categorize menu items under different menu levels. For example food items can be featured under categories like Indian, Continental or Oriental and even sub-categorize them into North Indian, South Indian etc. Restaurants also have the liberty to create sub-groups like starter, meals and desserts etc. Filters: This feature allows restaurants to segregate food items in categories like vegetarian food, non-vegetarian food, kids’ special, chef’s recommendation and more. Modifiers: Your steward can either open pre-defined modifiers or new modifiers to make sure that the guests’ requirements are taken care of. For example, the steward can set modifier messages like ‘spicy’, ‘less spicy’ and ‘no cheese’ etc. This enhances your guests’ dining experience. Open Items: Your staff can take orders for items that are not on the menu, but can be prepared out of existing stock. This way, you don’t have to say ‘NO’ to your diner who is looking for a particular item. Repeat Order: This feature helps the steward to repeat the previously ordered items and allows the steward to modify the quantity of the food using the ‘Modifiers’ option. Thus it saves time for your staffs. Happy Hours: Now promote your restaurant’s happy hour offerings with Easy Dine. This feature helps your steward and guest to know discounts offered on food and beverages under happy hours and increase sales. Multi-Currency: Easy Dine’s multi-currency functionality enables you to set your currency preferences as defined in the property management system. Enables guests to see their final order summary including items ordered number of plates and price etc. 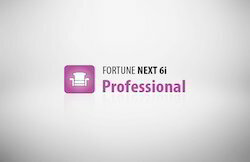 Fortune NEXT 6i R&B is our most efficient restaurant management software. This is an ideal software for all type of F&B outlets including fine dine restaurants, food courts, quick service restaurants and take-away outlets. This software allows users to access reports like cashier report, sales by item, ledger balance, cost centre consumption summary, daily transaction check list for recipes, receipt register, aging summary, cost report by kitchen and recipe check-list etc. 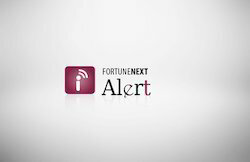 Fortune NEXT 6i R&B helps restaurant owners to plug revenue leakage and pilferage. This smart software also helps increase operational efficiency right from the time of order taking to the handling of accounts. 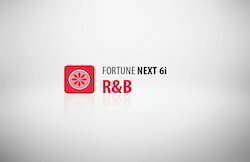 Additionally, our Easy Dine- e-menu app can be integrated with FortuneNEXT 6i R&B. 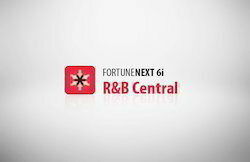 Fortune NEXT 6i R&B Central offers centralized management capabilities to restaurants and fine dine outlets operating under a chain or group. This software has all the features to effectively address some most common operational bottlenecks faced by restaurants in a chain. With Fortune NEXT 6i R&B Central, all data get transferred from outlets to head office and from head office to outlet automatically for analytical information. Food & Beverage Costing and Financial Accounting are maintained at the head office level. Our smart e-menu app Easy Dine can also be integrated into FortuneNEXT 6i R&B Central. SkyResSkyRes is our Central Reservation System that ensures that all bookings are accurately captured in the hotel’s system. 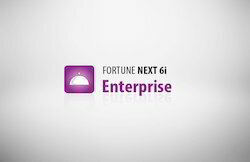 It integrates seamlessly with your FortuneNEXT 6i Hotel ERP and offers users a real-time, best in class, end-to-end reservation solution. As a central reservation system for hotels, SkyRes provides access to reservation related information on all the properties in a chain or group. It shows real-time availability of accommodation, room rates, instant allocation checking for tour booking, audit trail for critical applications, and more in the hotel property management system. Reservations made through Web solution are transferred to the property management system instantly, making reservations online and real-time with no additional manual steps. Thus it helps the user to optimize usage of manpower while eliminating errors. Additionally, through SkyRes, your hotel is seamlessly connected to thousands of travel agents world-wide who facilitate the process of reservation and booking. This central reservation system is also a great tool for hotels to realize enhanced revenues. 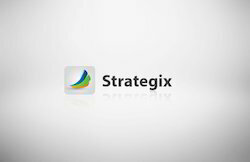 StrategixStrategix, our business intelligence solution helps hotels gather, analyze and leverage a wide variety of data in order to gain a competitive edge to assess risks and make more informed decisions. 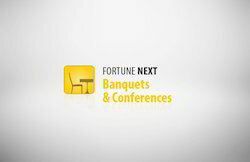 Strategix is seamlessly integrated with the Fortune Hotel ERP. Hotel management can now have real-time access to vital information including total room revenue, RevPAR, average daily rate, percentage of occupancy of rooms, average number of guest per room month. Data can be spooled from different years, months and is classified along different parameters like room type, guests’ nationality and market segment. Hotel managers /decision makers can also view data on actuals and projections to determine growth patterns. It also offers numerous advantages to hotel F&B operations. This enables hotels to determine food cost, liquor cost, total sales per head, RevPAR and more. On the financials front, hotels can view a break-up of accounts receivables, accounts payable and cash position by country, region, city, type, property and financial year. Strategix can be accessed on a tablet anytime, anywhere and can be configured to a hotel’s specific needs. Allows users to aggregate information and helps develop strategies vital to their business. As one of the leading end to end hospitality technology providers, we always make sure that hoteliers across the globe leverage the best of the technology platform to have efficient command and control over their business. Our Pulze 247 is one of such smart mobile analytics app that helps hotel Owners and General Managers to have real-time information on their properties’ business even while on the go. 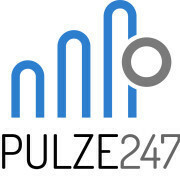 Downloadable on smartphones or tablets and integrated into our Hotel ERP, Pulze 247 proficiently assists property Owners and General Managers in keeping an eye on every aspect of their hotel operations. With all the vital and business critical statistics available on their phones real-time, Owners and General Managers can now take smart and insightful decisions with maximum ease. Know the real-time status of your hotel’s room inventory. It shows statistics like number of rooms that are out of order, out of service, total rooms and availability of number of rooms to sell etc. Get a clear picture on your hotel reservation including useful information on number of walk-ins, day use rooms, expected departures, actual departures, stay overs, actual arrivals, early departures and extended stays etc. Know the total number of complimentary and house use rooms for the day. Know how your hotel is going to fare by the end of business day by accessing valuable data on total revenue, average revenue, maximum occupancy, minimum occupancy and no shows etc. Shows revenue performance for the day/month/year. You can even compare the flow of your revenue from heads including room sales and food & beverages sales. Know the name of your top 10 corporate clients who are giving you maximum business. Know the names of your corporate clients who have not given business for last 6 months. Know about the corporate contracts that are soon to be expired. Thus, you can take a call to renew the same.